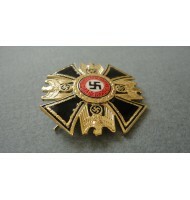 (Made of heavy metal,nice enamel red,white,black,gold plated) Maker marked-Munchen 9 SUPER QUALITY!!!!!!!!!!!! Looks Like Orginal Recommended by us due to the High Quality and detail of this product. Will not be disappointed with the quality of item. 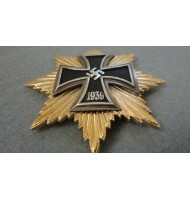 WW2 German Order-3rd Class-pin back. 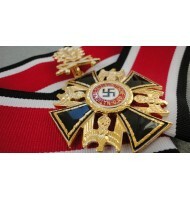 Made of heavy metal,nice enamel,black,red,white,gold plated. 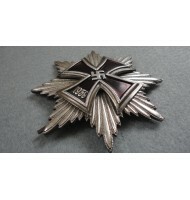 Maker marked-Munchen 9 SUPER QUALITY!!!!!!!!!!!! Looks Like Orginal Recommended by us due to the High Quality and detail of this product. Will not be disappointed with the quality of item. 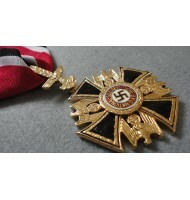 Two pieces construction,made of heavy metal,nice enamel, black, red, white, gold plated. --------------SUPERIOR------------- ---------------Big Size---------------- Recommended by us due to the HIGH QUALITY and detail of this product. Will not be disappointed with the quality of item. Long Pin Back. 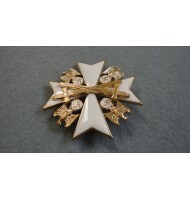 Three pieces construction,nice white enamel,gold plated. SUPER QUALITY!!!!!!!!!!!! 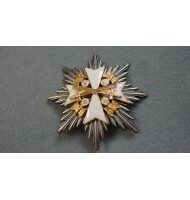 Looks Like Orginal Recommended by us due to the High Quality and detail of this product. Will not be disappointed with the quality of item. 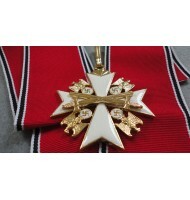 WW2 Order of the German Eagle with Crossed Swords 1st Class Neck Order Two pieces construction,made of heavy metal,nice enamel,white gold plated. SUPER QUALITY!!!!!!!!!!!! 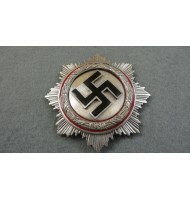 Maker marked - Munchen 9 Recommended by us due to the High Quality and detail of this product. Will not be disappointed with the quality of item.